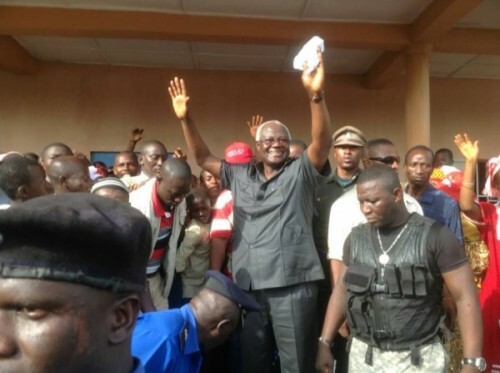 Things cannot get any worse for the main opposition political party of Sierra Leone – the Sierra Leone People’s Party (SLPP), as it suffered one of the most spectacular electoral defeats in its history last weekend. With the exception of Bonthe, the party lost four of the five bye-elections contested. SLPP received a resounding beating by the ruling APC party, whose credibility has reached rock bottom after massive corruption scandals, and their catastrophic mismanagement of the Ebola crisis that has taken the lives of over 4,000 people. Supporters of the opposition SLPP may have failed to turn up in their droves at polling stations across the country, where bye-elections were held last Saturday, but there is little doubt the few that turned up to cast their votes, were either suffering from political amnesia, or confused as to who were the official candidates of the party. Whatever the reasons for the SLPP supporters staying away from the polling stations last weekend, or refusing to vote for the official party candidates, what must be said is that SLPP has now reached rock-bottom in popularity. Bye elections were held in Sierra Leone on Saturday 14th of November, 2015, in the following constituencies: Parliamentary bye election in Constituency 107 in the Western Area Urban District; Local Council bye elections in Ward 10 – Kailahun District Council; Ward 34 – Kenema District Council; Ward 261 – Bonthe Municipal Council; and Ward 329 – Western Area Rural District Council. The remarkably low turnout by the SLPP supporters, lack of evidence of vote rigging, coupled with the unprecedented violence free atmosphere across all the polling stations, in many respects seriously call into question the ability and preparedness of the SLPP to defeat the ruling APC in 2018, when general and presidential elections will be held. The post-mortem into SLPP’s shocking defeat has just begun. The recriminations and blame game too, have started. But after all is said and done, SLPP has only got itself to blame for this spectacular defeat. 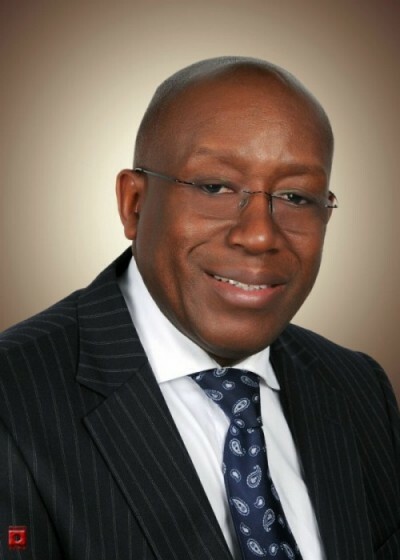 The defeat of the SLPP at the 2012 presidential and general elections, after losing spectacularly to the APC in 2007 – notwithstanding allegations of massive vote rigging by the APC and the nullifying of hundreds of thousands of SLPP votes, simply opened up deep divisions and resentments about party leadership and presidential candidacy. And now in 2015, with two years to go before general and presidential elections are held, SLPP is struggling to put up a serious contest against a ruling party, whose flip-flopping government has a lot to answer for in terms of good governance. Speaking to senior SLPP party grandees today about SLPP’s defeat at the polls, it is clear there are several reasons as to why the party failed so spectacularly last weekend. Since holding its controversial national convention in 2011 when the party elected former Brigadier Julius Maada Bio as its presidential candidate, it seems a bad spell has been cast on the party’s fortunes. That ominous 2011 flagbearer election result – marred by serious accusations of electoral malpractice and corruption, sparked a wave of resignations and defections by several senior party members. Then came the 2012 general and presidential elections. Brigadier Bio was expected by party faithful to prove that he had the whole nation behind him. But he failed – spectacularly. 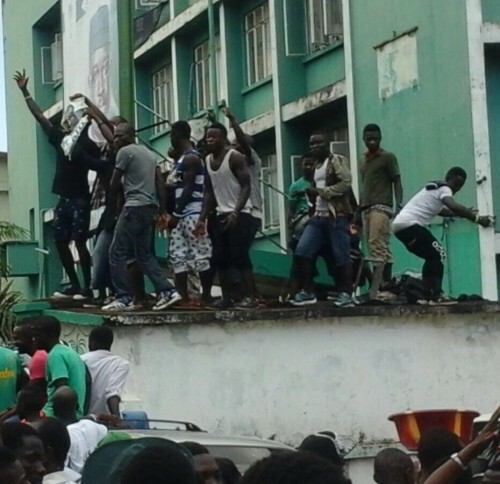 SLPP performed woefully, losing almost all seats in Kono district. 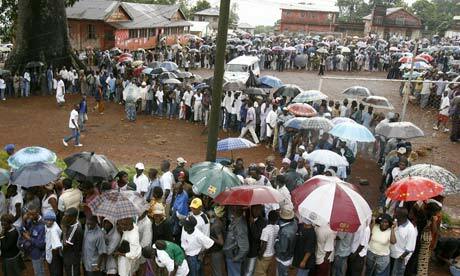 In the capital Freetown, it failed to win a single constituency. In the north of the country, the party did not win a single seat either. This abysmal failure by the SLPP presidential candidate – Brigadier Julius Maada Bio to convince the people of Sierra Leone that, he has what it takes to lead and galvanise the nation, simply reinforced and deepened the divisions and growing uneasiness within the SLPP party. Things have fallen apart. The wave of Supreme Court cases that has dogged the party, has not helped the party’s cause. But who created the conditions that have instigated one court case after another, leaving the party almost impotent to run its affairs? 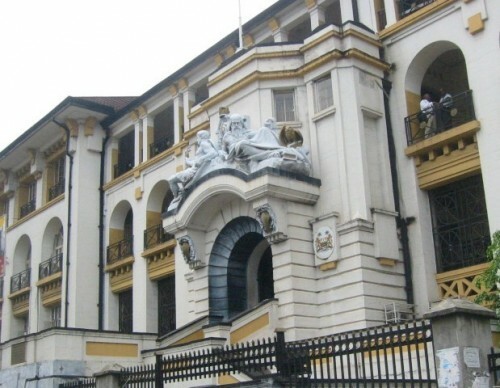 These court cases are symptomatic of the deep divisions within the SLPP party. They have led to distrust, bitterness and in some cases violence. These bitter divisions have not surprisingly, once again played out at polling stations across the country at last weekend’s bye-elections. Perhaps the most important factor accounting for SLPP’s abysmal defeat last weekend is the growing, nationwide voter apathy with the opposition SLPP. No one likes to be associated with a party that is constantly beating itself on the head and engaging in self-indulgent tantrums, each time they are asked to objectively deal with their internal leadership crisis. Its becoming glaringly obvious that until such time the party can put its own house in order, voters will find it very difficult to trust and accept that the party can put the country’s affairs in order. SLPP’s inability and lack of maturity to pull itself out of the rot it got into, after that controversial decision to elect Brigadier Maada Bio as its presidential candidate in 2011, continues to rip the party apart. And four years on, lessons have not been learnt, nor is the party willing to accept that such a divisive leader cannot win a bye-election, let alone a general election in Sierra Leone. Whilst the ruling APC is doing its best to falsely present its eight years performance in government as brilliant, the opposition SLPP has either failed to change voters’ perception of the ruling APC, or voters simply do not believe that the SLPP is a better alternative. Last weekend’s bye-elections could not have come at a worse time for the ruling APC. But they have taken full advantage of SLPP’s weakness. With the government’s poor management of the Ebola crisis that took the lives of over 4,000 people; the disappearance of $14 million from the Ebola funds – squirreled away by government officials and their cronies; massive corruption in high places – including the misappropriation of $12 million the government said it spent on buying just 50 buses; the declining economy; rising youth unemployment; and the appalling lack of access to water and electricity in the country, anyone would have expected SLPP to have performed much better at the polls. But they did not. The party failed to win votes even in its own backyard – Kenema and Kailahun, SLPP’s political heartlands. There are allegations of massive electoral bribery by president Koroma, using Brigadier Maada Bio as his conduit in the SLPP controlled constituencies. But putting these allegations aside, it is difficult to deny the fact that voters across the country are very apathetic towards the SLPP, whose continuous internal strife is turning voters off. A defeat at this scale and level for any political party is not only spectacular, but raises serious questions about whether SLPP can pull itself together in time for the 2018 general and presidential elections. “Anybody who wins the party flagbearer would have just won a battle. But why destroy everything needed to fight a war, just for the sake of a battle?” Dr. Tengbe asks. As the post- mortem begins into the spectacular defeat suffered by the SLPP at the bye-election polls last weekend in the hands of the ruling APC, it seems tonight there are more questions than answers. But one key question that needs answering by SLPP rank and file members fast, is this. Is Brigadier Julius Maada Bio the best man to lead the SLPP into the 2018 elections, after proving time and again that he cannot unify the party, nor is he capable of leading the country? Well written Newspaper Article that would ignite the flames of a curious patriotic and non political partisan reader, to digest and draw an informed conclusion therein. However, the author failed to provide the innocent by-standing reader with the opportunity to offer their objective analyses of his good Article. He instead offered his subjective analyses of his opinion, of which he is the only Master. On the objective balance, it is apt to opine that, with all what the author claimed to be the graft driven ruling APC Government, the electorate in Sierra Leone have vehemently rejected his arm-chair critic of what is actually happening in Sierra Leone, as opposed to what those outside are saying. The 14th November, 2014 Bye Elections are cases in points which have vindicated the APC led Government from such subjective overview of ruling Party in Government. With all the harangue with which this Newspaper has been characterising the Sitting Government, it has not, and I believe, will not, sway the objectivity of the Sierra Leone citizenry from its conviction and approval of the Government’s record of achievement since 2007 to the present, notwithstanding the abject devastation of the EVD on the socio-economic chapter of the country. SLPP will continue to lick its wounds until they embrace democratic norms like freedom of speech, human right, accept genuine defeat, etc. It is funny how every failure experienced by the SLPP party is attributed to Maada Bio. What a people? They keep blaming one individual. I think it is time for the SLPP and its sympathizers to start looking at the man in the mirror. I have said this in the past, and I will say it again : politically , S.L.P.P. are painfully slow in the head; whether we like it or not they are no match for A.P.C. ; they are a waste of taxpayer’s money – we pay them for nothing. The difference between S.L.P.P. and A.P.C. is quite easy to recognise. While A.P.C. are practical, S.L.P.P. operate on theory to demonstrate their academic credentials. Put S.L.P.P. in front of an unguarded goal, and they will first apply the laws of physics to calculate the trajectory which they should apply to the ball, at the end of which they will apply advance mathematics to calculate the distance.They engage in all this in the firm belief that the the goalkeeper and the entire defense have been left for dead, until the defenders recover and shove them off the ball. When the final whistle is blown, they have lost, and have to leave the field dejectedly. A.P.C., on the other hand, will let fly a difficult shot for the keeper at every opportunity – believing that the keeper, sooner or later, will fall victim to human frailty. It is hard to believe that with all the numerous opportunities which have constantly and consistently presented themselves for S.L.P.P. to have A.P.C.on the back foot they behave as though blood only flows from their toes to their neck . This is why the political scene in Sierra Leone is so anemic. I think we should give Charles Margai’s party a chance, A.P.C. and S.L.P.P. are one and the same, which is why I cannot stomach them. We should kick them into the political wilderness. These bye election results are wiring signals that the SLPP cannot match the APC political hegemony in the country, despite the poor governance and rampant corruption in their government. As a matter of fact, the APC and SLPP are birds of the same feathers, no one of these parties can drive Sierra Leone to progress and prosperity. What is needed in Sierra Leone today is the birth of a new political force led by a credible leadership with clear focus and capable of formulating a governance agenda that can make a positive impact on the grass-roots of the society. Most Sierra Leoneans have lost hope in the APC and SLPP. Few voters turned out to vote. The people would like to see strong political parties emerge to compete with these traditional parties. Critics are those who find fault without search warrant and many ideas today have been lost because of criticism, because those who have the ideas cannot withstand it so they give up. This is the problem with the SLPP party. The team cannot rally around or support the play maker to get a goal. Instead they go round to influence the strength of the team by not giving the ball to the player that is in the right position to score and the ball went out of target so that the blame will go to the play maker and eventually lost favor. SLPP is very serious in the pursuit of Maada Bio as the flag bearer again come 2017. We made this mistake with Charles Francis Margai, this time no way. So whosoever wants to campaign against him you are welcome. Its your opinion and you have right to it. 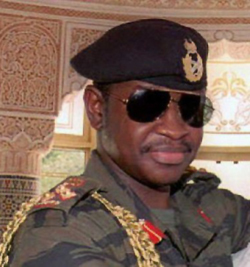 We are moving forward – no retreat – no surrender with Julius Maada Bio. We are focused. The people of Sierra Leone are focused and have spoken but only you who have ears can hear. The SLPP is seriously failing the people of Sierra Leone. There is no opposition in Sierra Leone. The only thing the SLPP is opposing is each other. Everything EBK does is rubber stamped by the parliament and the country is returning to a one party system. The SLPP has not shown it is fit to govern. This is why in the midst of all the APC mismanagement, the SLPP still can’t win elections. If the SLPP allows Maada Bio to be their flagbearer again, this will be proof that the SLPP is a completely unserious party. I will personally help to campaign for another term for EBK if this is the case. I really feel sorry for the people of Sierra Leone. They don’t deserve the current APC or SLPP. They deserve so much better. John you have spoken all that I wanted to tell the writer of this article. Journalism practiced in this country is always biased, and lacked analytical view of things. One would have thought a balanced presentation of such an eye catching article so that the readers would decide for themselves. But on the contrary the writer or journalists always take decisions on behalf of the readers or the public regardless. APC is well known for dishonesty in every respect. Be it election, governance or even in their private dealings their party ideology had trained them to be dishonest to achieve their goals. This should be the concern of the SLPP who believed in honesty and straightforwardness to achieve their goals. For the writer to discard evidence of rigging at these elections, I am afraid this is a clear and deliberate misrepresentation of the facts. For some of us who saw rigging taking place in some poling station especially in constituency 107, I will not hesitate to say the writer is or was part of the cabal. Even the APC’s last rally before the election which has since been widely condemned by every decent citizen of this country including our international partners is contestable. The outcome of this election can be petitioned, but in which court. In the APC managed court? It is interesting that the writer of this article would state that there was a lack of evidence of vote rigging in the recently conducted bye elections. I doubt that very much. I believe that the most serious problem that the SLPP would continue to face at the polls with an APC incumbent government is not disunity within SLPP ranks but elections rigging. There is just no way that any APC government would ever conduct free and fair elections in Sierra Leone. Fairness and integrity are simply not in the APC DNA.